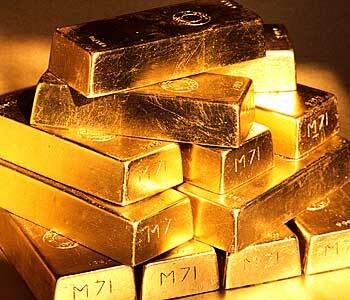 There is little doubt that China nowadays has the financial muscle to effectively control the global gold price. The mere sniff of a report that it is taking gold into its official reserves to counteract dollar decline is sufficient to, at the least, stabilise the gold price – and there seems to be little doubt that it is so doing, but at the moment in a manner that is not designed to de-stabilise the dollar or, on the other hand, not to contribute to a quantum leap in the yellow metal’s valuation – yet. But – should China wish to de-stabilise the dollar by announcing big gold purchases into its reserves to replace a good proportion of its trillions of dollars, there is also little doubt that it could do so. It is an economic weapon which perhaps has more power than a nuclear one if it wished to bring America, and the West, to its collective economic knees through currency war. But again that is not seen as an option – or at least not until the country’s domestic market is big enough to soak up all the manufactured goods China can still sell to the West. Thus China is still very dependent on export markets, so revaluation of the renminbi is not seen as helpful and dollar decline has to be worrying. So the country has to move cautiously to retain some kind of global economic equilibrium. But noticeably, China is already exerting its financial dominance. It has said its mostly state-owned financial organisations will have the right to default on some of the more dubious commodity and financial related derivative trades that they may have entered into. This has only raised a muted response from those financial institutions which could be affected because it is China’s financial muscle which is beginning to call the tune in world financial circles – not the mighty U.S.A. any longer. But it could lead to more grief in western financial circles and the already stressed banking system. Its state-owned enterprises are on a massive buying spree of western assets, both as an investment and, in the case of the mining sector, to tie down future strategic resource supplies. In perhaps a conscious effort to allay suspicions of Chinese motives in many countries, much of this is via significant minority stakes in western companies tied to long term supply deals. But back to gold. We reported here that a top Chinese official virtually admitted China was buying gold, but in a way which was designed to maintain at least a reasonable degree of stability in the markets and not rock the gold boat. If this is true, and there is little reason why it should not be so then this will effectively mean there is little or no serious downside risk in buying gold. But China can also control the upside, as it may not wish to precipitate a big dollar collapse which would be the likely outcome of a big gold price rise. We reported also, in an article which virtually went viral on the internet and has been picked up by many other commentators (China pushes silver and gold investment to the masses), that Chinese state organisations are selling, like soap powder, the advice to buy gold and silver to the general populace – which already has a gold purchasing psyche. As a result China is likely to surpass India as the world’s biggest precious metals purchaser this year or next. It also lends support to the country’s domestic gold mining industry – China is currently the world’s largest gold producer and is a country where output is continuing to rise. Chinese domestic gold purchases rose 14% year on year in the first half of the year to 446.6 tonnes and industry analysts expect double digit growth to continue in the curent half year, even with gold at over $1,000. This too provides a massive underpinning of the gold price at, at least, around current levels. It is apparent that buying has been coming in every time gold dips and the suspicion is that this is by the Chinese, but it is well enough hidden that it is difficult, if not impossible, to clearly define the source. At the moment gold seems to be holding up well close to the $1,000 level despite the huge degree of profit taking which comes in at psychological levels like this. The suspicion is that China may wish to see $1,000 gold, or thereabouts, as a new floor, but there is unlikely to be any official recognition of this and we will have to wait and see whether the supposed Chinese underpinning of the market is reality – or yet another gold bug’s dream.